During our 2009 tour of Scotland, I said something to our guide about my three-times great-grandmother Mary Frances (Fanny) MacGregor. He teased me that the MacGregors were all ruffians and cattle thieves. I didn’t know much about her, but I was pretty sure she wasn’t a cattle thief. That was the spark that got me started researching my family history. Five years later, I have learned a lot about my ancestors, but there are some questions I may never answer about Fanny and her origins. According to the parish records of Port of Menteith, Mary Frances MacGregor was the “lawful daughter of Duncan and Catharine MacGregor in Lochend.” It says she was baptized on 26 December, 1789, however, her headstone gives her date of birth as 8 January, 1792. Perhaps she lied about her age, or perhaps the first child died and the baby born in 1792 was given the same name. I have been unable to find a marriage record for Duncan MacGregor and Catharine MacGregor. Perhaps they had an irregular marriage, a legal, but informal, custom that did not require a church proclamation. I have not yet found any records of Fanny’s parents’ births. The name MacGregor was proscribed, or legally banned, between 1603 and 1775. According to a family story, members of Fanny’s family used the alias Murray until they could once again call themselves MacGregor. Perhaps Fanny’s parents were born or married under aliases, which would explain why the records can’t be identified. The Menteith district, where Fanny was born, is in the shadow of the Grampian Mountains, where the Scottish Lowlands meet the Highlands. There has been a large house at Lochend since 1715, probably built as the home of the estate manager. 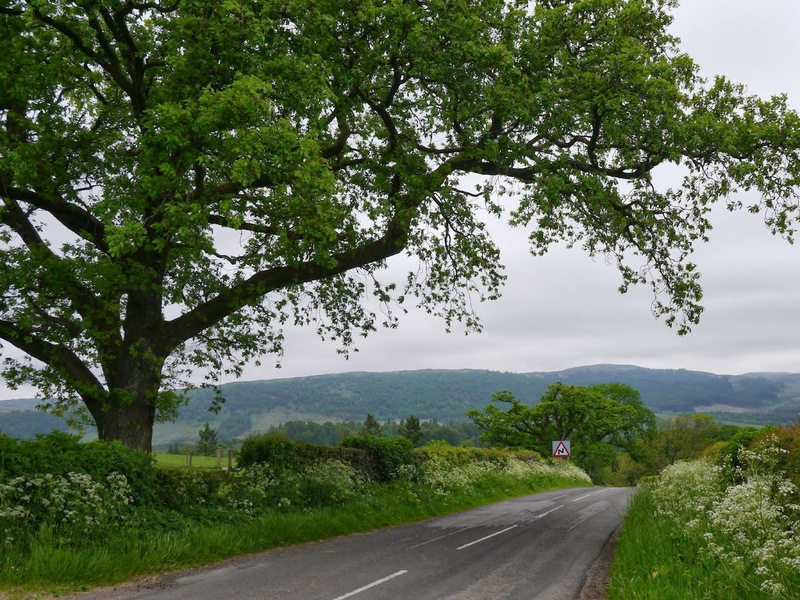 All the land in the area belonged to a handful of landowners and, when Fanny was a child, the homes of many tenant farmers would have dotted the landscape. On the shore of nearby Lake of Menteith was the hamlet of Port of Menteith, which has been in existence since at least the 15th century. This area was once one the favourite hunting spots of the kings of Scotland, but in the late 1700s, it must have been a very poor. Most of the kirk sessions records, or records of the parish court, consisted of the names of parishioners receiving charity from the church. There was no mention of Duncan MacGregor’s family. I also checked some tax records for the area, without success so far. If Fanny’s family had lived in a house with seven windows or more, they would have had to pay a window tax. If they had owned horses or watches, they would have paid taxes on those too. I do not know what Duncan’s occupation was. Whatever they were doing in Lochend, it appears they eventually left. According to a family story, Fanny finished her education in Edinburgh. She didn’t stay there, though. By 1817, Fanny had crossed the Atlantic and was living in Philadelphia, married to English-born merchant Robert Mitcheson. Research Remarks: Family stories linked my MacGregors to the Stirling area of Scotland, and Fanny’s home in Philadelphia was called Monteith house, so when I discovered there was a rural parish near Stirling called Port of Menteith, I suspected Fanny had a connection to it. Then I found a short biography of her son Joseph McGregor Mitcheson that confirmed it. I used http://.books.google.com to access the Historical Catalogue of the St. Andrews Society of Philadelphia, With Biographical Sketches of Deceased Members. The Scottish Archive Network website www.scan.org.uk/index.html is a searchable electronic catalogue of some 50 archives in Scotland. It told me that the kirk sessions records for Port of Menteith parish are not in the National Archives in Edinburgh, but at the Stirling Council Archives, in the city of Stirling. There are digitized historical tax rolls on the subscription access portion of the Scotland’s Places website, www.scotlandsplaces.gov.uk/. Maps and many other resources can also be viewed for free on this excellent site. The Scottish Genealogy Society also has resources online at www.scotsgenealogy.com/Resources.aspx, including taxation lists, university graduates, military records, trades and professions and prisoners. Members of this family used both the McGregor and MacGregor spellings of the name. Also, MacGregor was Catharine’s maiden name; Scottish church records used the woman’s maiden name, even if she was married. Mary Frances was not a very common name and, with Scottish naming traditions in mind, I have attempted to look for an earlier Mary Frances, after whom Fanny might have been named. Fanny had a brother Andrew (baptized 1791) and a sister Christian (baptized 1793), so those also might have been family names. So far I’ve had no luck. Their grandparents would have used an alias, rather than MacGregor. I found the reference to Fanny’s baptismal record on familysearch.org and viewed a copy of the parish record on the Scotland’s People website. 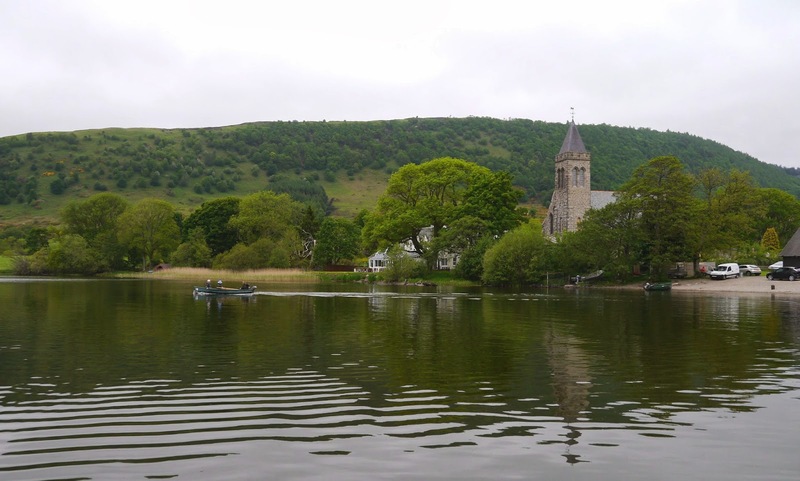 There must have been numerous MacGregors in Port of Menteith parish at the time: besides the couple named Duncan MacGregor and Catherine MacGregor at Lochend, there were couples with the same names at nearby Auchreig, Cardross, Gartmore and Court Hill.